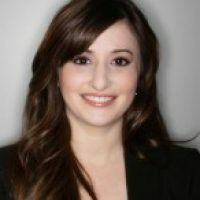 The Lenskold Group and The Pedowitz Group recently released their 2012 Lead Generation Marketing Effectiveness Study. The study draws on 373 B2B marketers to discuss the practice of lead generation, marketing automation, ROI, and how they are all interrelated. Additionally, the report prioritizes competencies of highly effective marketing organizations, to help pinpoint what marketers should be focusing on as they continue building our their capabilities. Which statement best describes your marketing effectiveness and efficiency? This is an interesting, if not scary stat. Out of all of the marketers that were surveyed, only 11% felt that they were both effective and efficient. Many marketers felt that they were somewhat effective and efficient. And some reported that they were neither effective nor efficient! The report suggests that this is an issue based on marketers’ ability to properly track ROI of various programs. If there is no real ROI being tracked, then it is not only difficult to discuss results with the rest of your marketing team so you can iterate programs based on key metrics, but it is also extremely challenging to prove your value to your organization. Do you use full-featured marketing automation in your organization? The good news? 70% of marketers are adopting marketing automation technology in their organizations. Particularly, the 51% that are integrated with CRM systems enjoy a more holistic view of their marketing efforts. However, the 19% that are not integrating with their CRM will have trouble proving program ROI, therefore attributing to the problems with efficiency and effectiveness mentioned above. And the 30% not using marketing automation will have an even more difficult time tracking. Take a look at the following table showing the difference in growth rates between companies that have an integrated marketing automation solution vs. companies that have no marketing automation. The marketers using integrated marketing automation see a 66% greater percentage of growth. This stat is pretty varied amongst the marketers surveyed, and likely this is resulting in the large number above that reported that they felt somewhat effective and efficient. Or not effective and efficient at all. And as the basis of the study points to, as modern marketers, we really do need to make sure we are calculating a multitude of metrics when running our programs. Clearly, even some marketers using marketing automation are not tapping into the vast potential of analyzing metrics. It is crucial to begin digging deep into your system’s capabilities. Check out our Definitive Guide to Marketing Metrics for some best practices on how you can move towards tracking effectiveness. Build capabilities to get more from your marketing automation: Processes, strategy, implementing measurements, and integrating CRM are all critical to getting the highest value out of your marketing automation investment. Use integrated marketing automation to manage performance with financial metrics: Get your seat at the table! Integrated users show much higher use of cost efficiency, sales, revenue, and forecasting metrics. Measure revenue per sale to support and justify high impact content marketing: Content marketing should be a huge part of your strategy. It can have a great impact on revenue per sale by upselling customers and generating demand. Additionally, content improves loyalty and retention. 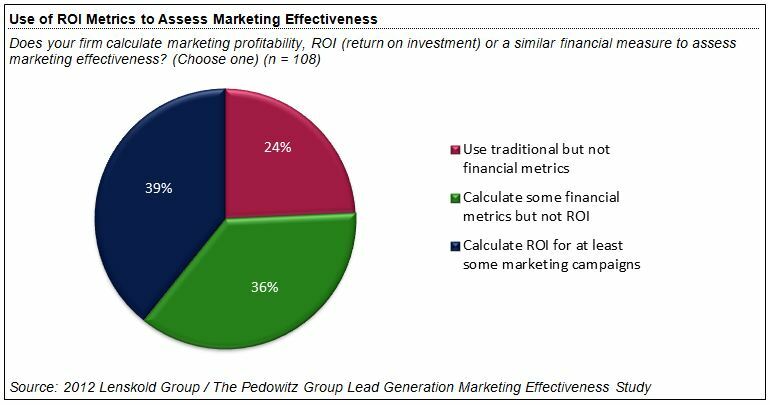 Use ROI metrics to assess lead generation campaigns through effectiveness: The challenge is tracking lead outcomes through sales cycle. Integrated marketing automation keeps track of lead outcomes. Where does your marketing team stack up to the survey results? We would love to hear from you!